Michelle S. Dromgold-Sermen is a PhD Student in Sociology at the University of North Carolina at Chapel Hill. 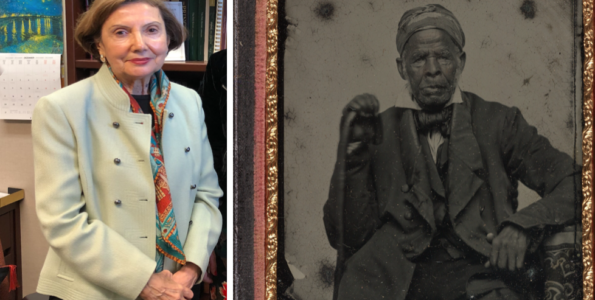 She specializes in International Migration, Gender, and Middle East Studies. Her current research focuses on Syrian refugees’ subjective understandings of belonging in the United States. This book review by Michelle S. Dromgold-Sermen was first presented at the 2nd Annual Graduate Student Book Review Colloquium on Islamic and Middle Eastern Studies organized by the Ali Vural Ak Center for Global Islamic Studies at George Mason University & The Maydan. This version is a slightly revised version of the paper delivered at the Colloquium. Race scholar Eduardo Bonilla-Silva argues that we are living in an age of colorblind racism in which contemporary inequality is explained through nonracial dynamics. Two of the central frames of color-blind racism – cultural racism and the minimization of racism – are particularly salient for Muslim Americans in their everyday experiences of racism and Islamophobia. Scholars argue that religion – as a sign of cultural difference – can become an ethnoracial or racialized marker of identity that leads to discrimination and disparate outcomes. What is at stake for public policy and for the lived experiences and practices of Muslim Americans when Islam becomes racialized? 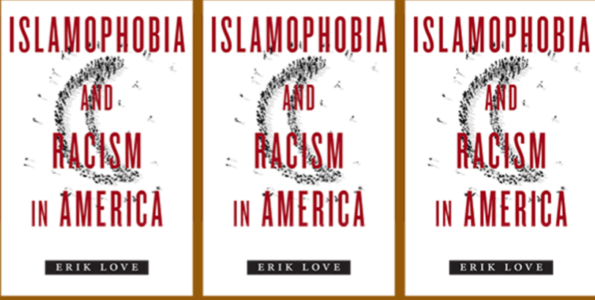 In Islamophobia and Racism in America, Erik Love (2017) explores and expands current understandings of the racialization of Islam and Muslim identities in America. Love argues that Islam has become racialized as Muslims and those who resemble society’s perception of how ‘Muslims’ look – whether racially, phenotypically, or in their customs and dress – become targets of the same discrimination and prejudice as other racial groups. 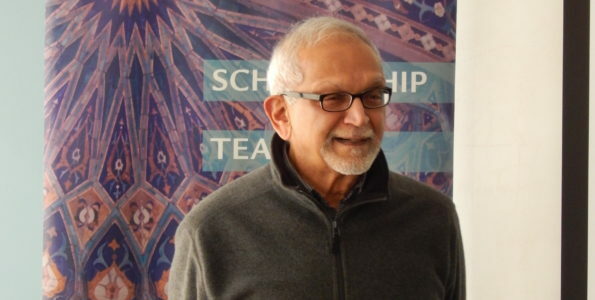 In this book, Love theoretically situates his analysis of race and Islamophobia in America, provides a historical account of Islamophobia and organizational confrontations with it and, finally, presents empirical evidence of how advocacy organizations discuss and engage in civil rights advocacy to counter Islamophobia. Drawing on interviews with Middle Eastern American civil rights advocates and contextual analysis of advocacy organizations’ documents, as well as his construction of a database of Middle Eastern American advocacy organizations, Love presents a historical and present-day analysis of Arab and Muslim organizations in the United States and their discourses and tactics for mobilization and organizing. In situating his discussion of Islamophobia as a racial dilemma and as part of a racial paradox in Chapters 1 and 2, respectively, Love draws on and contributes to sociological and Middle Eastern Studies’ theories of identity, race, and structural racism. He problematizes the term Islamophobiaas an unhelpful term but accepts it as one that is ‘unavoidably popular.’ In opening the book with narratives of mistaken identity among Trinidadian and Sikh Americans, Love makes clear that Islamophobia – both in individual acts of racial discrimination and in structural racism incorporated into federal policies for profiling ‘terrorists’ – acts in the same ways as racism; he therefore advocates a race-conscious strategy for talking about Islam and Islamophobia. In Chapter 2, Love acknowledges the fluidity of race and presents racial identity as a paradox, situated between private and public or political identities. He focuses on the historical debate of labeling ‘Middle Eastern’ identity and argues that this debate remains central in understanding the difficulty of categorizing individuals and groups who are targets of Islamophobia in America, since these include Arabs, Muslims, Sikhs, and South Asians for whom there is no collective racial category. In focusing on ‘Middle Eastern’ nomenclature, however, Love prioritizes naming and labeling while ignoring a broader perspective on lived experiences of race and American Islam. While Love must adopt a term to proceed with the discussion of how such racial categorizations impact data, identity, network-building, mobilization, and legitimacy for broader recognition, this categorization is imperfect – as he acknowledges. He argues, however, that the term ‘Middle Eastern American’ evokes a racial image parallel to Asian American or Latin@ American. Love’s use of the term ‘Middle Eastern Americans’ to refer to Muslim Americans of diverse ethnic and religious backgrounds throughout the book is, however, problematic. It is misleading and confusing for the reader, as it reifies racial stereotypes and understandings of what American Islam is and overlooks the historical and modern-day presence of non-Middle Eastern Muslims in America, including African American Muslims and converts to Islam. Instead, by framing the racial paradox of Islamophobia around a Middle Eastern identity and focusing on Arab, Sikh, and South Asian Americans’ encounters with Islamophobia, Love frames Islam and Islamophobia as an immigrant phenomenon and ignores the complicated intersections of Islam and race from the perspectives and experiences of African American and non-Middle Eastern Muslims. Although the narrative of ‘Muslims as immigrant’ is reflected in the ethnic composition of the six predominant advocacy organizations that are the focus of Love’s book, this label of American Islam as predominantly ‘Middle Eastern’ is a major shortcoming of the book. In Chapter 3, Love historicizes Islamophobic racism, reminding the reader that this is not a new, post-September 11 phenomenon, but one that intersects with gender, religion, and other axes of inequality. As an example, he points out how Middle Easterners, Arabs, and Muslims have been portrayed as dangerous ‘terrorists’ or wealthy ‘oil sheiks’ since the 1970s in American films and news media. Since 2001, these stereotypes have become embedded in racialized employment discrimination, hate crimes, political discourses and images, and national policies. This historical account reinforces Love’s central argument that a theoretical lens of race is necessary for understanding Islamophobia. In Chapters 4 and 5, Love provides historical and empirical evidence of how advocacy organizations generate and sustain legitimacy in their work to confront Islamophobia. He adopts Rev. Dr. William Barber II’s typology for coalitions as transactional or transformational: transactional coalitions involve occasional mutually beneficial coordination whereas transformational coalitions “share and participate in coordinated advocacy campaigns” that would “represent a significant investment” (150). Love focuses on six of the largest national-level advocacy organizations working to confront Islamophobia, and points out their organizational roots as Arab American (American-Arab Anti-Discrimination Committee – ADC, Arab American Institute – AAI), Muslim American (Council on American-Islamic Relations – CAIR, Muslim Public Affairs Council – MPAC), or South Asian American (Sikh American Legal Defense and Education Fund – SALDEF, South Asian Americans Leading Together – SAALT). Love suggests that a broader “lack of clarity around Middle Eastern American identity” (143) impedes transformational coalition building to confront Islamophobia. As Arabs came to be labeled as ‘White’ and as America’s climate increasingly emphasizes a ‘post-racial’ or ‘colorblind’ shift, Arab, Muslim, and South Asian American advocacy organizations have “abandoned civil disobedience as a tactic” (143), redefined frames away from racism, and ended transformational coalitions with Blacks. Instead they “filed lawsuits, held the occasional rally, and engaged in direct appeals to legislators” (143) and only enacted transactionalcooperation to bridge the Arab-Muslim identity divide. In addition to an avoidance of discussing race, coalition building has been complicated by class and identity differences and the inability to organize as a collective oppressed racial minority group. They have adopted a colorblind approach to advocacy. Love’s intersectional approach to discussing Islamophobia and racism reflects a visible and relevant current debate in America. As President Trump perpetuates the racialization of Muslims and Muslim-majority countries through disparaging tweets and executive orders banning immigration, family reunification, and equal rights for individuals from Muslim-majority countries, politicians, media correspondents, and everyday citizens are more frequently encountering – or themselves adopting – Islamophobic discourses. As these discourses become more prevalent, however, we risk Islamophobia becoming normalized, becoming invisible to those unaffected by its consequences and internally rationalized by those whom it targets. Islamophobia and Racism in America is therefore a timely contribution to begin discussions to counter the normalization of Islamophobia in America and to reinforce that Islamophobia is racism. 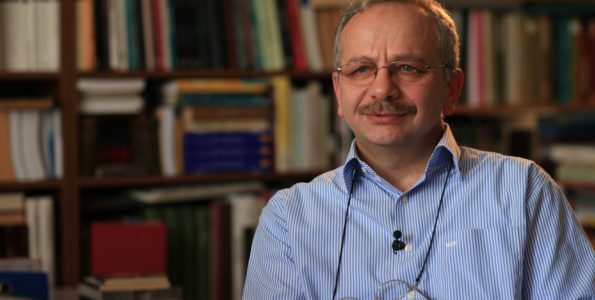 However, we must move beyond discussions of nomenclature and recognize the multiplicity of American Islam(s) and Muslim Americans embedded in our national history and present reality, rather than reifying stereotypes about Islam through focusing solely on Middle Eastern Americans’ experiences with Islamophobia.